Bring in the holiday season with this Personalized Storybook! 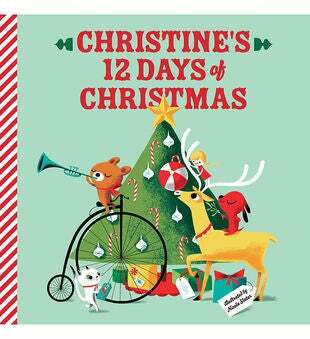 Based on the classic Christmas tune, "The Twelve Days of Christmas," readers will love finding their name inserted into the text and artwork of the story! This Personalized Storybook will quickly become a holiday keepsake that will be read for years to come. Dedication Message: "May today and every day be filled with celebrations and surprises!"